Some coral retailers just have it going on, and the guys at Cherry Corals always seem to amaze us, especially with their always amazing plate corals. Their latest acquisition is a particularly unique specimen, as it sports alternating orange and white stripes, a vibrant blue mouth, touches of green, purple tipped tentacles, and sort of a blueish outer ring. 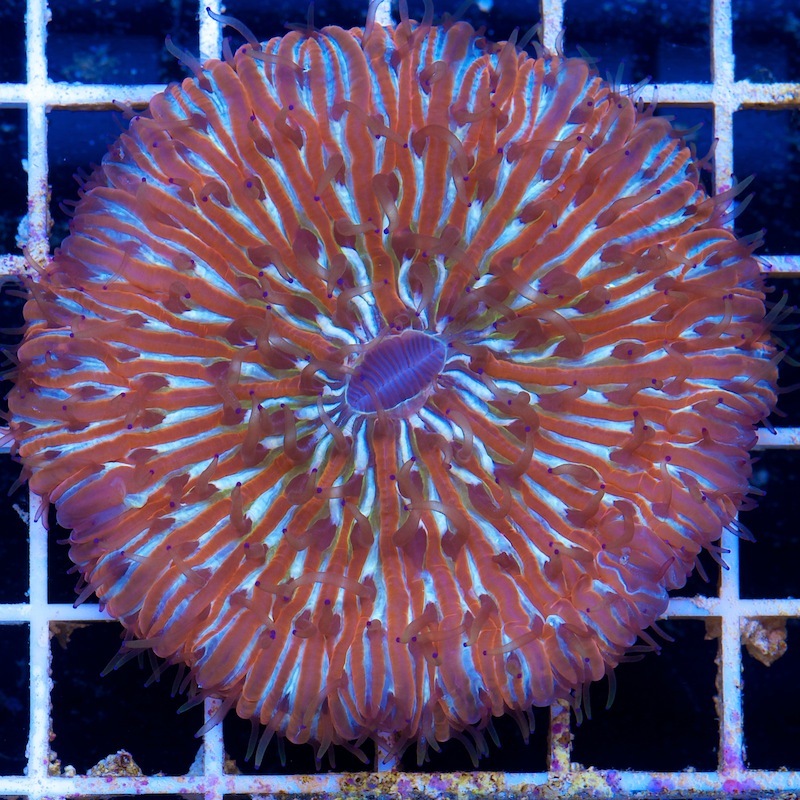 Needless to say, this has to be one of the best looking plate corals we’ve come across. This plate is so hot, in fact, that Cherry Corals is referring to it as their “Masterpiece Fungia” and calling it a “fungia of the year”. This stunning Fungiid measures around 2.5″ in diameter and has a price tag of $300.